[JURIST] The UN Commission on Human Rights in South Sudan [official website] concluded [press release] its first visit to South Sudan on Thursday and expressed concern regarding the ongoing pattern of human rights violations in South Sudan. The Commission was established [Reuters report] in March to monitor human rights issues in the city amidst an ongoing war between warring factions. Though the government has stated that it properly addressed rights abuses, Commission leader Yasmin Sooka has pointed to the government’s consistent oppression of civil society. Sooka stated that the country intimidates the public and more specifically endangers the freedom of press by cracking down on journalists. Sooka further accused the government of not promoting accountability for serious abuses such as the sexual assault of females and possible war crimes. The Commission, with the support of the US and Britain, called for the establishment of a hybrid court that would allow countries to choose lawyers and jurists and address human rights abuses in South Sudan. This year alone, human rights concerns have been widespread concerning South Sudan. On Wednesday South Sudan officials stated [JURIST report] they would take legal action against US advocacy group The Sentry after the group accused the nation’s leaders of profiting from the country’s three-year conflict. Earlier this month the government consented [JURIST report] to the addition of another 4,000 UN peacekeeping troops to the existing force of 14,000 soldiers, under intense pressure from the UN, US and the rest of the international community. Last month UN High Commissioner for Human Rights Zeid Ra’ad Al Hussein said that South Sudan government security forces have killed and raped citizens [JURIST report] and looted and destroyed public and private property. In July Chaloka Beyani, UN Special Rapporteur on the human rights of internally displaced persons (IDPs), condemned recent attacks on IDPs and civilians [JURIST report] in South Sudan. In June UN Secretary-General Ban Ki-moon expressed shock [JURIST report] at the increasing number of children recruited and killed in armed conflicts in several countries, including South Sudan. 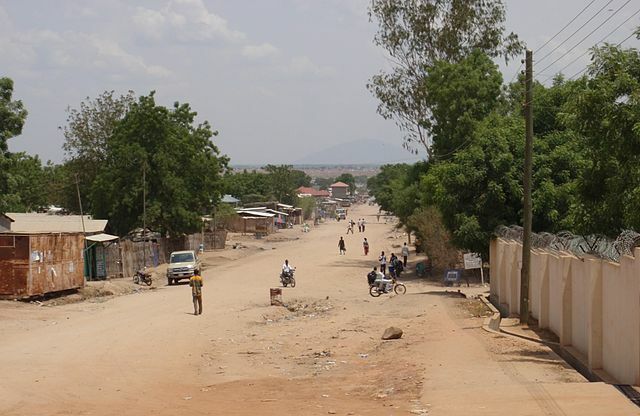 In May Amnesty International reported [JURIST report] that dozens of detainees in South Sudan are being held in inhumane conditions.